Did you know that not all dentures are of equal quality? This is why commonly you may see a difference in pricing structures from different dental or denture clinics. Here at Smile Denture and Implant Clinic, we craft customized dentures and dental implants for our valued patients. Our mission is to always provide the best, customized services that will meet your health and budget needs. Getting the best dentures for you will depend on a number of factors and our friendly staff will take the time to explore multiple options and best treatments for your needs. In the world of dentures, we can easily distinguish between cosmetic and regular dentures. Regular dentures are meant to meet your functional need and do not pay special focus on the cosmetic aspect. Cosmetic dentures on the other hand aim to meet both functional and aesthetic needs of our patients. An experienced denturist will craft high end dentures that suit perfectly your mouth, smile and natural teeth look. Custom full dentures are fitted and manufactured specifically for you. They will match the individual size, shade and shape of your teeth so that the resulting dentures look natural and fit comfortably. Also, the custom dentures also last longer because they fit with your mouth perfectly and aren’t rubbing or grinding, and the materials used in the custom manufacturing process are of a higher quality. 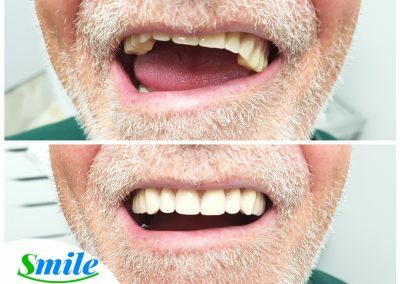 If you are considering dentures as a solution for replacing your missing teeth, we invite you to visit our Ottawa Denture Clinic. We offer a full spectrum of denture treatment solutions that are suitable for everyone’s budget and needs. We are happy to discuss both regular and high end dentures services that we offer. You can reach us at 613.262.6332. for a free assessment and a free complimentary consultation. Let us help you restore your beautiful smile today!